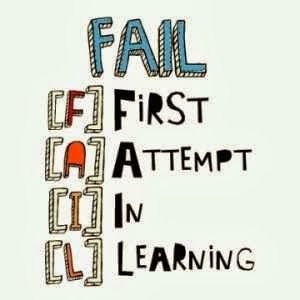 ​When you learn from it, adapt and try again. No one succeeds at everything they do, the first time and every time after that. Humans are born to learn, to seek out information and experience. 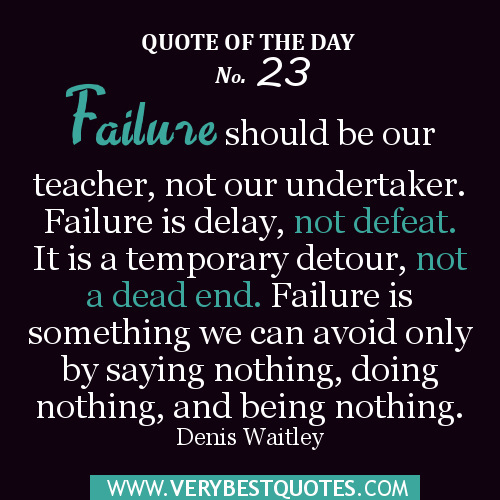 That means that there will be situations when we fail to master what we try, whatever it may be. From learning to walk, to astrophysics, singing to surgery, everything we do requires skills and knowledge we had to learn. Figuring out or being told that there is something you need to know or be able to do. Finding out the information you need in order to do it, including how to perform tasks. Practicing skills, sorting and refining info. Trying out what you've figured out. Figuring out that you still need or want the goal. Looking back on what you tried, and questioning what didn't work. Tweaking the process, trying something a bit different. Trying the new thing you've figured out. Repeating steps 4 through 11 until you feel confident that you have mastered the task or information. Repeat steps 1 through 11. 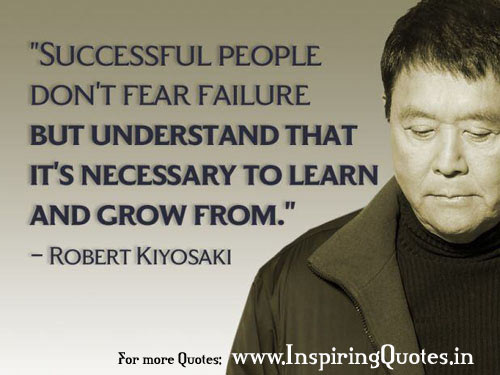 In short, if you never fail, you never really learn. Everyone's got their own journey. Although we put students into grades based on age, when it comes right down to it, everyone is on their own individual process of learning. There is no academic best before date stamped on you somewhere. The world will not end if you don't finish a certain number of courses by the time you're 18. You may have to adjust your goals, your expectations and take a different route to the end goal than you planned. These may be the results or consequences of choices, or of circumstances beyond your control. Whatever the situation, you have a choice, every day, in where you go from here, and the staff at PCSS are here to help you get from where you are now, to where you want to be. The Academic Support Class (ASC) is one possible tool in that process. I failed a course. Now what? Your first step is to take an honest look at the reasons for not having mastered the class. What you learn about yourself in that process will help you make choices, with your parents / guardians, school counsellors, administrators and teachers, to help you plan your next steps. You need to seriously consider what factors contributed to your difficulties succeeding the last time(s) you attempted the credit? Differences between how you work best and the way the classroom is/was structured? Knowing what issues combined to make it too challenging for you to succeed at the course in the past may help you decide which path is most likely to see you achieve the credit in the future. You can retake the course again, for an entire semester, in the regular classroom. This means a whole semester block. Check with your counsellor to look at timetables, grad timelines, and other considerations in case this will impact long term goals. This is a great choice if you really feel like you only "sort of got it". Doing the whole course again could really give you a deeper understanding of the course. Some courses are available at summer school. Whether or not a course runs at summer school depends on whether or not it is a Core course (usually Math courses, some English, limited Socials and Science courses may be offered) and how many students sign up. Attendance is absolutely mandatory. If you have more than three unexcused absences you lose the credit. What plans do you or your family have for the summer, and can you commit to being in class every morning (9 am - 12 noon), all July? You focus completely on ONE course. There are fewer distractions with trying to balance the work load with other courses. It costs money, and the refundable period is short. If you don't get the credit or you miss too many days and are dropped, you don't get the money back. Classes are small. There's lots of opportunities to get help. If you find it difficult to ask for help in larger groups, or find that it's easy to be distracted by your friends when you share classes, this can be a great alternative. The course moves fast. 80% of the curriculum material is reviewed in 4 weeks, only about a quarter of the time you had to do a bit more during the school year. Usually not much homework. Part of the point of summer school is to come in, work with focus for 3 hours and then leave - to enjoy your summer, to go to your summer job, etc. Teachers offer lost of chances to get work done in class, whenever they can. You can only take summer school if you earned a 35% or higher when you took the course in the regular classroom. Summer school is designed to review information you've already learned in a class with a teacher - it's not a good idea to try and take a summer school course as a first attempt. Whichever mark is better is the mark that stays on your record. Since the assumption is that you've taken the material at least twice, you're given the benefit of the doubt. If you take the course at school and at summer school, you earn the higher mark, whichever that is. AND you have a better understanding of the material. Psychologist Howard Gardener determined that there are actually several ways that people learn. He called these methods of taking in and processing information our "multiple intelligences". It is important to understand that Gardener's work is sometimes misinterpreted. People think that they "are" a particular kind of learner. What Gardener actually discovered was that all people learn in all ways. What makes each person's "Learning Style" unique is how much they rely on each type of learning - which ways of learning are their strengths and which ways are areas that could improve - and how those Learning Styles compare to the way we educate people in school and in the workplace. They way in which Gardener's Learning Styles and Multiple Intelligences are useful is that a person can determine which MIs are their personal strengths and try to use those methods to help them learn important material, and to figure out how to improve in areas where they are weak, just as you might exercise or stretch muscles that are weak or tight, so that the overall Learning Style becomes more balanced. The more balanced our overall Learning Styles and the more ways we know to adapt what we learn, the more likely we are to be successful in our attempts to learn. Everyone has a bit of each type of intelligence. The combination of all of the types you have, your preferences, strengths and areas of weakness make up your Personal Learning Style. Many Kinds of Smart - Ooey Gooey Inc. Although Howard Gardner's Multiple Intelligences can help people to identify their learning style, they aren't the only way to figure out your learning style, or to describe how you think. There are other descriptions or tools.